We are a unique type of Community Supported Agriculture (CSA), providing clean, honest, slow food to our neighbors and friends. Rather than just purchasing eggs from a supermarket, your money goes to pay for the cost of feeding/managing the flock of chickens and maintaining the pasture. The eggs are seen as a product of your shared animals – a gift from the flock. When you purchase a “share”, you are partially sharing in the ownership of the chickens. This is the best way to obtain raw eggs directly from the farm, delivered free right to your door! Members are encouraged to donate their own kitchen scraps to use in the feeding of the naturally omnivorous hens. In this way, we hope to grow real ingredients, prevent waste by directly recycling, support local business and economy, care for the land, reconnect with the farm, and build community through authentic sustainable food. How Are The Chickens Raised? 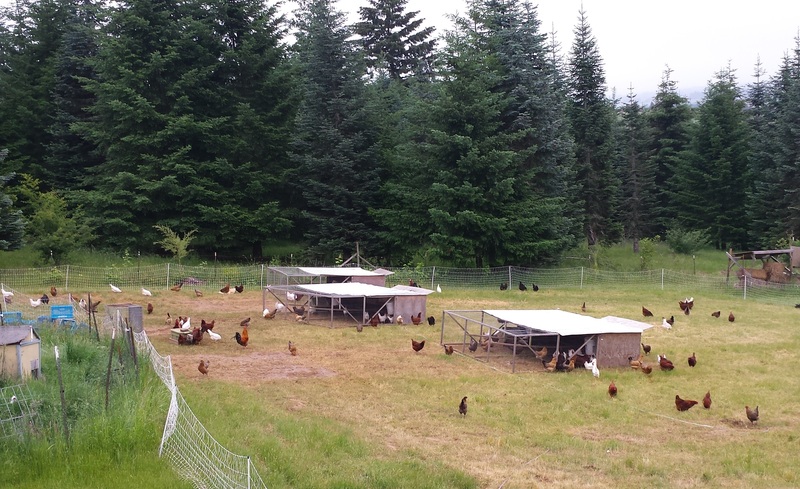 We use a pasture-based approach to raising chickens – the complete opposite of industrial factory farming. When our hens aren’t eating grass, seeds, bugs and worms like they do by nature, they also have an organic grain blend that comes from a local mill in Buxton – right next door. It’s more expensive than your typical feed, but it’s worth it to create the unadulterated food that’s so difficult to find. Raising hens this way is well beyond the “organic” standard, which only speaks to what the animals were fed, not how they were raised. Free animals are happy animals. That’s the kind of food I want to eat, and the kind I want to share with you! 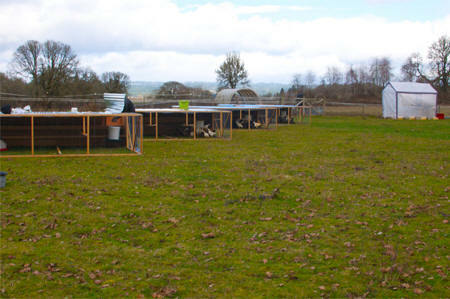 The chickens graze the land openly with the protection of portable open-air shelters – always happy and dry with plenty of room to run, and sunshine (when available)! Electric netting circles the coops to keep out any lurking predators. 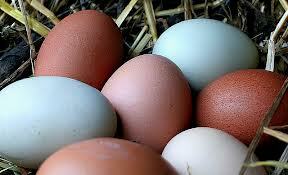 The eggs come in a rainbow of colors with blues, greens, browns and white from our diversified flock. 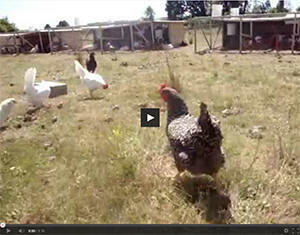 In our system they have constant access to a “salad” of greens and critters – the real life of a chicken! Why Do You Do It This Way? Grazing fresh pasture stimulates the ingestion of as much greens and protein as possible, which increases the vitamins, minerals and overall nutrition of the hens and their eggs, giving the yolks their golden color. Not to mention their incredible flavor! You won’t find a better tasting egg in the market. It’s all about the freshness, and conditions in which the hens are raised. You’re getting the eggs fresh from that same week, right off the pasture. Raising chickens this way is a lot of good old-fashioned hard work. But it’s totally worth it, knowing that neither the animals nor land suffer in the process, but actually benefit from it. When Can I Get My Eggs? “Shares” of the flock are sold on a monthly (4 weeks) or seasonal (12 weeks) basis. With each share you are guaranteed the freshest eggs possible from that same week. During the winter, shares are sold on a more limited basis since chickens lay fewer eggs when there is less daylight and temperatures drop. Members may need to take turns skipping membership months during the darkest months, since the hens lay far fewer eggs during the winter. We move with the seasons, and deliver each week on Tuesday, at any given time between 8:00 a.m. and 7:00 p.m. - but generally 10:00 a.m. to noon. At the supermarket, pasture raised eggs always cost more than this, often by as much as a dollar or two per dozen. On top of that, by the time you purchase conventional eggs from the market they can actually be even older than 6 weeks. 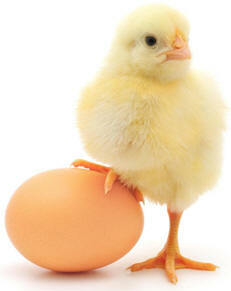 When you become a regular flock share member your eggs are delivered fresh within just days of being laid. Now you can cut out the middleman – buy direct from the farm and get an even better price. Know where your food comes from and how it was raised. Taste the difference!